The world of Vana'diel is vast, with intricate storylines and complex missions and battle systems. Listed below are some of the key developers of FFXI, as well as which parts of the game they are responsible for designing. 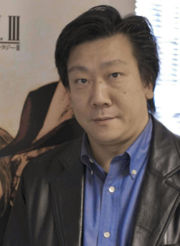 Hiromichi Tanaka, senior vice president of Software Development at Square Enix, is the lead developer of Final Fantasy XI. He is also the producer of FFXIV. 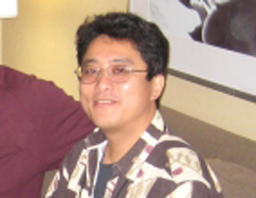 Born Jan. 7, 1962, Tanaka oversees development on any new online games that Square Enix is involved in. He also led the development of the Nintendo DS version of Final Fantasy III, having worked in a senior role on the original version of the game in 1990. In 1983, Tanaka dropped out of Yokohama National University along with Hironobu Sakaguchi to join Square, which, at the time, was a newly formed branch of the Denyuusha Electric Company. Along with Sakaguchi and Kazuhiko Aoki, Tanaka was part of Square's original Planning and Development Department. 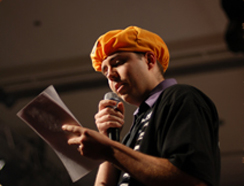 Sage Sundi is the online global producer of FFXI. His career in the game industry started with Ultima Online. After becoming renowned as a popular game master in the MMO industry, he became a producer of the Japanese version of Ultima Online. 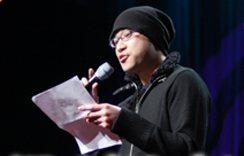 At Square Enix, he is currently involved with organizing PlayOnlineTM, an entertainment network service providing online services and entertainment, which includes Final Fantasy XI. 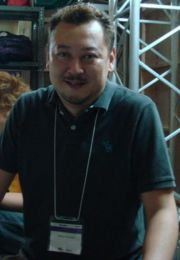 Iwao, who holds the position of Vana'diel planner, is an expert on the history of Vana'diel and the game's elaborate storyline. 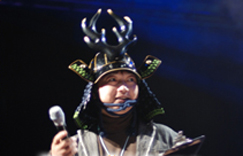 Gondai is the creator of the scholar and dancer jobs, which were introduced to FFXI in the Wings of the Goddess expansion. Matsui, the battle director of FFXI, plans job adjustments to balance the game's battle system. Ogawa is director of the Wings of the Goddess expansion. He is responsible for the new, conquest-style system known as campaign. 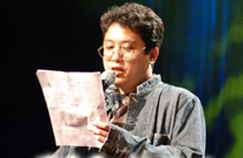 Western-born translator that has worked on the English localisation of games such as Dirge of Cerberus Final Fantasy VII and Final Fantasy XI. Has also performed drums for The Star Onions and produced lyrics for "Blessed in Her Glorious Light". *Websites used to acquire information WikiPedia and ffxifestival.com. This page last modified 2009-06-06 17:22:35.